The answer, as is often the case in MBA admissions, is…it depends. You didn’t think we’d give you a clear cut yes or no answer, did you? FACT: The chances of gaining acceptance decrease as the rounds progress. This means that acceptance rates in R3 are generally lower than in R1 and R2. Similarly, grants and scholarships are harder to come by later in the admissions game. Now, this doesn’t mean that you shouldn’t apply. Your chances of acceptance are obviously zero if you don’t apply. They are greater than zero (even if not much greater) if you do. You have a class of 2021 or bust attitude. If you really have your heart set on joining the b-school class of 2021, then you should definitely apply R3 (or even R4 if your target program offers that option). You’re an admissions dream come true. If you are a truly exceptional candidate – stats-wise, diversity-wise, experience-wise, etc. – then you should apply R3/R4. Not everyone is rejected (or there wouldn’t be such a thing as late rounds), and if anyone is going to get in, it’s going to be those applicants with extremely impressive profiles. 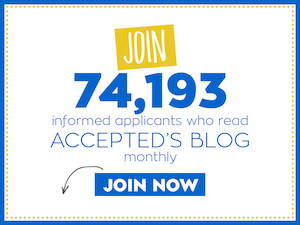 If you don’t mind spending the extra money, time, and energy to apply now, get rejected, and then apply again during R1 of the next application season, then you really don’t have much to lose going for it this year. In fact, if you’re lucky enough to get feedback (that is, if you’re unlucky enough to get dinged), then that feedback will prove extremely valuable when you reapply next year. You were rejected R1 and have a new plan. You understand that you simply aimed too high and are now ready to apply to less competitive programs. Your essay’s still not quite right. Maybe you don’t have the time to create flawless essays before the R3 buzzer. In that case, it’s much better to wait until you can submit something closer to perfect than to rush and send in a sloppy essay early. You plan on retaking the GMAT. If you’re not happy with your current GMAT results, then you should wait until you can apply with that (hopefully) higher score. Your recs won’t be ready. If you won’t be able to secure the best recommendations by the R3/R4 deadline, it’s better to wait for the ideal recommenders than to go with less-impressive ones early. Your work experience is weak. Applying next year will give you more time to bulk up your work experience and personal profiles. You’re uncertain about your goals. If you’re fuzzy as to why you want an MBA or your reasons for choosing particular schools, get clarity, and then apply – preferably round 1. If you are an international applicant and may have trouble getting the necessary visa and financing, it might be worth taking extra time. Need help deciding when to apply? Deciding when to apply is not always easy. Work with an expert admissions consultant to create a strategy for when and how to apply that will maximize your chances of getting accepted!